I remember when I was a little girl and would jump out of the bathroom and into my clothes before anyone could blink. My Mum tried several times albeit unsuccessfully, to get me to rub lotion on my body before putting on my clothes but all to no avail because it was just too much trouble. I can still be lazy, infact, I am still lazy and think moisturising my skin is a bit of a bother but I do it all the same.....whenever I remember, lol. However, I never ever scrimp on moisturising my face. No it isn't what you are thinking, I don't use this to moisturise my face even though it's a wonderful product and I'll tell you why. I've mentioned it before but I'll say it again. I have unique combination skin. This unique combination skin means I don't sweat like others and I don't feel hot like others. I can thus do without primer on my face and I usually go for long walks in the afternoon and the most I get is a glow on my face and not a break of sweat on any part of my body. Once again, the packaging stumps me. That Lancome rose positively haunts my dreams, lol. 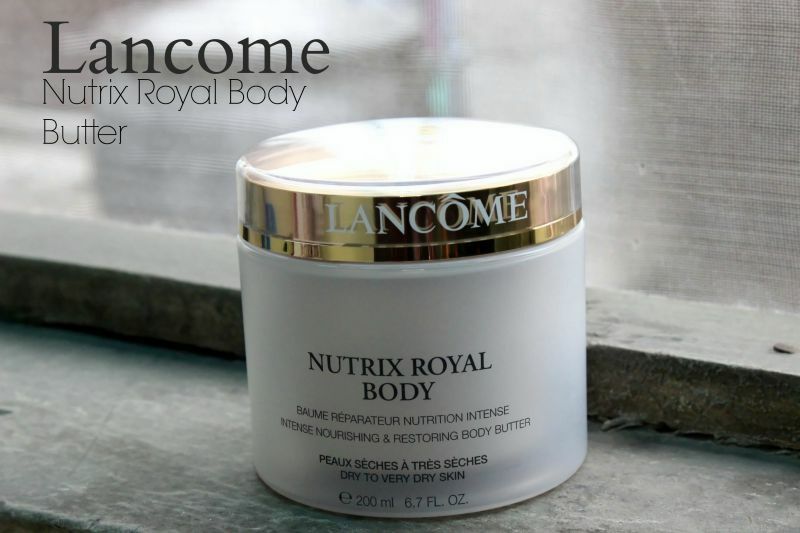 The Lancome Nutrix Royal Body Butter is not just for dry skin but for Dry to Very Dry Skin note the emphasis? So, if I use this, there is a likelihood that I'd end up looking like a plucked chicken right? I'm at a bit of a crossroads - it is so creamy and has a very rich texture to it and I do have to tell you all what I think about it as a moisturising body cream right? So I did give it a try on my body. My leg is the hardest part of my body to moisturise. Nutrix Body kept it moisturised all day. It was really easy to distribute on my skin. You know how sometimes thick creams can be difficult to distribute on the skin evenly? Nutrix Body isn't like that at all. I used it on my face.....it wasn't so bad. Won't be doing that anytime soon again though - because I prefer a lighter consistency for my face - but I tried it and I wasn't overtly oily or anything of the sort. Looooove the way it feels when I use it on my hands. I'm going to look for an itsy bitsy container so I can carry it around and use it to moisturize my hands when they are dry.